It was morning at the local grocery store in Southern California. Just like every other Saturday morning. Before the store opened, researchers had set up a table with an attractive display of local jams for sale. On this Saturday, 24 jams were on display. Consumers would stop, taste one more more of the local products and then either pick up a jar to take to the check out counter or continue on their way. Then, on following Saturday the same table was prepared, but this time with only 6 varieties of jam. Same store, just fewer options. Guess which display table led to more sales? You guessed it – when there are more options, people tend to get overwhelmed and do nothing. This is also true in business: for example, when faced with too many marketing options you might, in fact, do nothing. Psychologist Barry Schwartz called this the ‘paradox of choice’. And that brings me to marketing. Just like jars of jam, when faced with too many marketing options most people either dabble in a few ideas or do nothing at all. And it’s getting worse. For the last decade we’ve been inundated with a truck-load of online marketing choices. 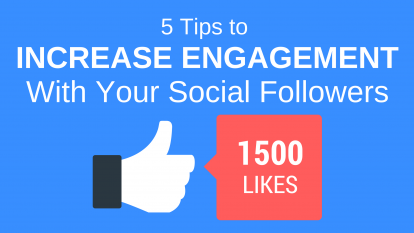 Should you build your Facebook followers, post videos on YouTube, learn all about Instagram or plan an affiliate launch? Or, maybe you should simply reduce your choices and focus on what works? We love blogging because, unlike most other online marketing strategies, it keeps on working for us. And, despite all the hype of “latest, greatest” social marketing, every year more companies are investing in their blogs. Companies with active blogs enjoy 55% more inbound traffic and receive 67% more leads than those that do not. Your blog will attract new followers, keep you in touch with clients and help convert followers to buyers. Even your old posts keep attracting readers. And, as much as we like promoting on our social channels, good luck getting people to read an old tweet or watch a two-year old video on YouTube. 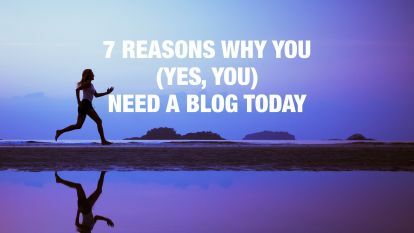 So, why not make this your year of the blog? Alrighty, you’ve committed to blogging. But you’re feeling a little unsure how to get started. The last time you published a blog post was 5 months ago and that one took you two days to write. Ouch! At BlogWorks we speak with bloggers every week who have this challenge—they know their blog should be central to their marketing, but they struggle to publish. 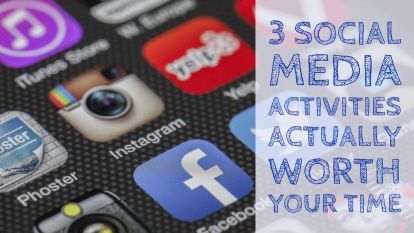 Just like the Jackson’s 1970’s hit song, “A-B-C it’s as easy as 1-2-3,” blogging can be as easy as following 3 steps. By the way, “A-B-C” stands for Always Blog Consistently (I’m kind of proud of that one). Creating a few meaningful goals for your blog doesn’t have to be complicated or scary. then create the goal based on last year. For example, if your site traffic last year averaged 1,000 users (unique visitors) to your site your new goal could be to increase site traffic to 1,500/month. Similarly, if your list size is 800, make a goal to double it this year. And if you published 10 times last year, commit to 2 posts per month, or 24 posts in the year. But, don’t stop there. Goals only work if you check on them. 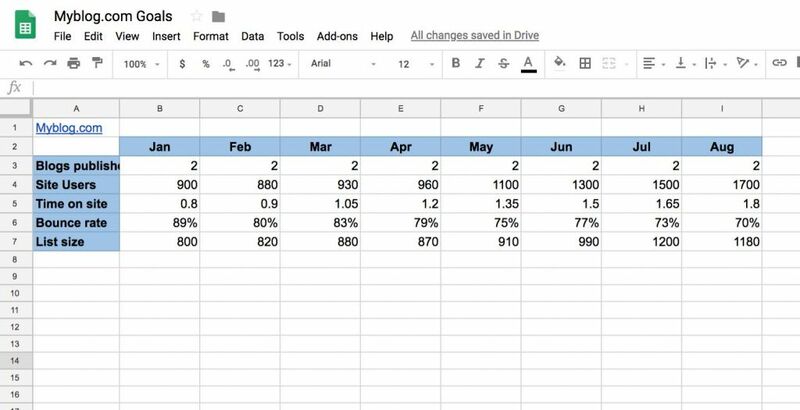 At least once a month, fill in a simple spreadsheet with your progress. Pro tip: At least once a month update your blog goal sheet. When I’m coaching chronic procrastinators or clients who are tackling huge projects I always recommend one strategy. Are you ready? Admit it, if you had a 2:00 appointment with your dentist, you’d prepare, leave home and be there on time. Right? When you block time it becomes an appointment you can’t break. It’s no different with a scheduled conference call, webinar, sales meeting, or meeting a friend to show them this blog (hint, hint). 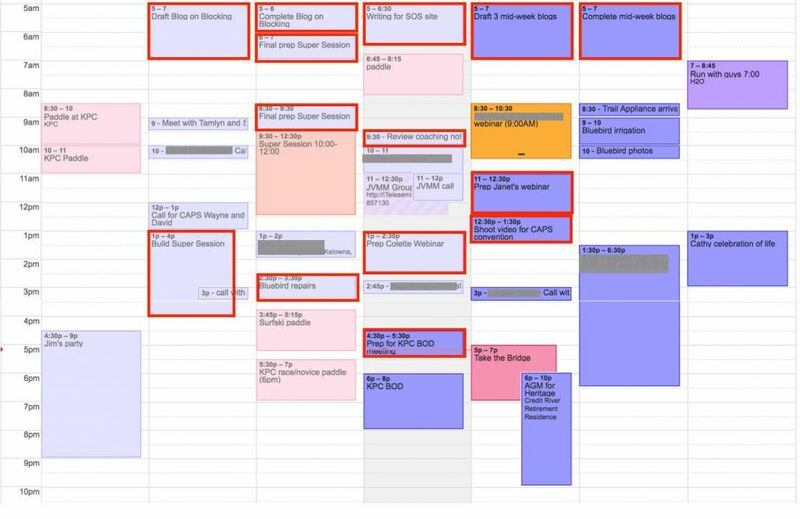 When we block time for a meeting, we treat that time differently. You can always move that time block, but your writing time should be protected. Most authors, bloggers, speech writers and other creative people do their best work in the morning, shortly after waking up. That could be a good place to start blocking your blog writing time. 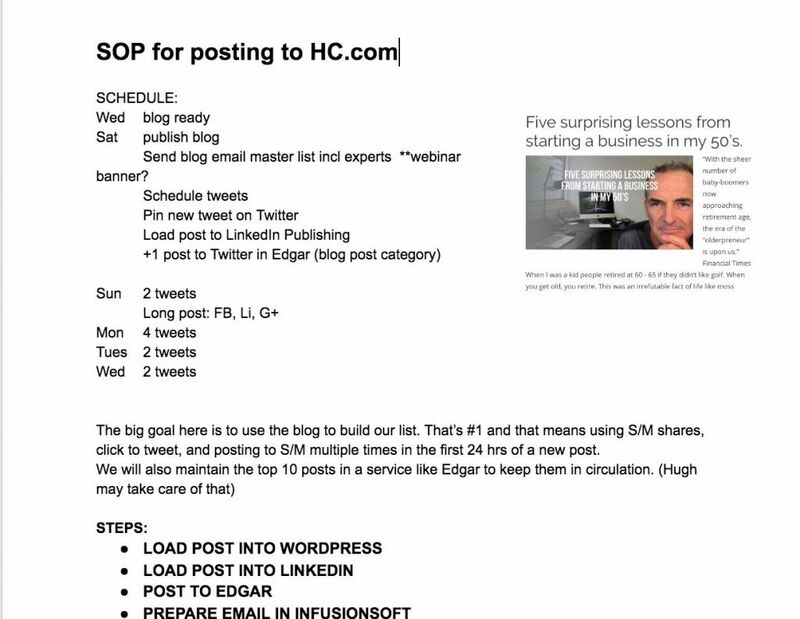 Creating your first Blog SOP can be as simple as recording all the steps in a Google Doc. One of the best changes I made to my blogging was to create a Standard Operating Procedure. That’s right, one of the changes that accelerated the growth of this blog and my blog was to document all the steps it took to get my rough draft published and promoted. Two things happened: 1) I wasted less time trying to muddle my way through all the minutia of WordPress tags, categories, headers, etc. 2) I was closer to outsourcing the $12/hour jobs. Once I’d written up all the steps (and there were over 30 steps! ), it was obvious that a disproportionate amount of time was spent doing non-creative, routine tasks. In fact, I created BlogWorks because of that exercise! To get started, use Google Docs (it’s easy to share when you are ready to outsource this) and simply list all the steps your blogging process needs. Next, identify repetitive tasks you can outsource. For example, you might want to outsource creating the Featured Image for each post. Contact us to learn how we can transform your rough draft into a published and promoted post. Liked this post? 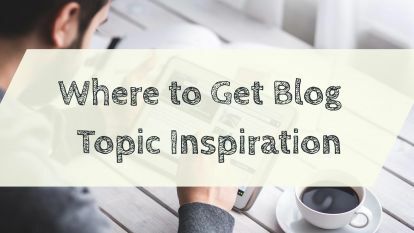 Here are more posts about getting that blog published! 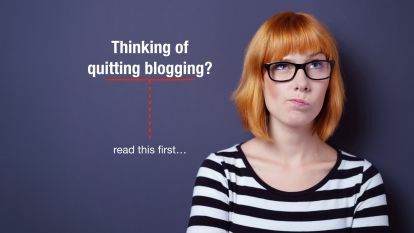 Thinking of quitting blogging? Read this first.